Leotards wide straps. Neckline ruched front and a curved back. Fully lined front. Supplied with the belt alignment to verify the correct positioning of the pelvis. Leotards tactel 92% and 8% lycra. Satin elastic waistband. Mademoiselle danse likes : its sweet price! Leotard large breteles dance.Neckline ruched front and right rear.Two vertical seams to lengthen the silhouette.Fully lined front.92% Tactel and 8% lycra. Mademoiselle danse likes : the quality and comfort of the material. Leotards wide straps.Neckline ruched front and a curved back.Fully lined front.Supplied with the belt alignment to verify the correct positioning of the pelvis.Leotards tactel 92% and 8% lycra.Satin elastic waistband. Mademoiselle danse likes : its sweet price! Leotards wide straps.Neckline ruched front and a curved back.Fully lined front.Supplied with the belt alignment to verify the correct positioning of the pelvis.Leotards tactel 92% and 8% lycra.Satin elastic waistband. Mademoiselle dance likes : its sweet price! Leotard wide straps.Neckline ruched front and a curved back.Fully lined front.Supplied with the belt alignment to verify the correct positioning of the pelvis.Leotards tactel 92% and 8% lycra.Satin elastic waistband. Mademoiselle danse likes :its soft price! Dance leotard wide straps.Rounded neckline in front and behind.Little skirt in the material of the leotard.Fully lined in front.Lycra mat. This item size small, do not hesitate to take a size above. Mademoiselle Danse likes: the little flying very "girly"! 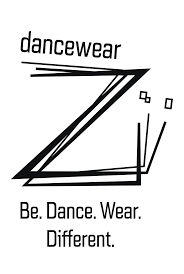 Dance leotard with wide straps. Gathered neckline in front and rounded in the back.Stitching under the chest and in the middle of the back.Full front lining.Microfiber. 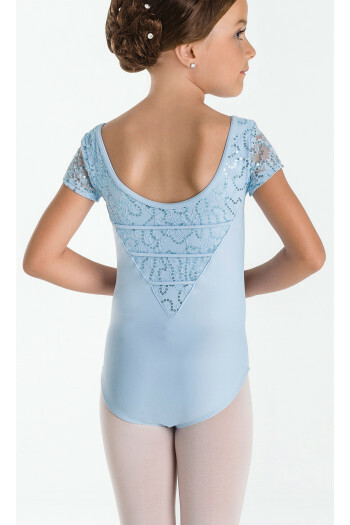 Dance leotard for children with thin straps.Very elegant with the rounded neckline and the little flower detail in the chest.Full front lining. Mademoiselle Danse likes: the slight sparkle in the material ! Very beautiful leotard with short sleeves made in sequin stretch lace.Features a V back with three straps details.Full front lined. Mademoiselle Danse likes: the V back! Dance leotard Sheddo for children.Bustier neckline with matching lace.In meryl and lace for the colour Diva (picture).In lycra and lace for the colours: white, black and soft pink.Lined on the chest. Mademoiselle Danse likes: the lace.